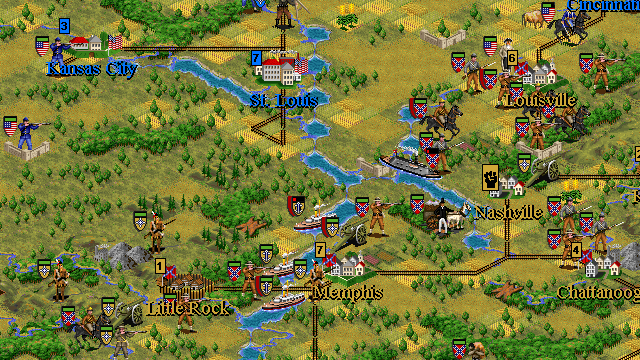 A scenario for Civilization II: Multiplayer Gold Edition by Our Man. 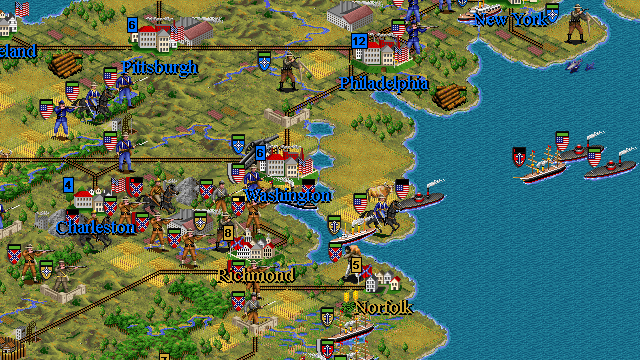 This scenario is based upon a group of novels by Harry Turtledove, of which How Few Remain is the first in the series, in which he postulates what would happen if the South won the American Civil War. The place and time is outside Frederick, Maryland, September 10th 1862. A courier carrying Lee's Special Order 191 drops it, but some observant soldiers notice it and call him back. Out of these humblest of beginnings the outcome of American history is forever changed. Ignorant of Lee's plans, McCellan's army is left flat-footed by Lee's advance through Maryland and into Pennsylvania, before finally being forced to meet the Army of North Virginia in a less than auspicious place: near New Cumberland, Pennsylvania on October 1st. The Army of the Potomac is soundly defeated, effectively ending the war as Great Britain and France announce their support for the Southern Confederacy's bid for independence, anxious as they are to end the disruption in trade the war has caused. Under threat of war from these countries, Abraham Lincoln has no choice but to recognise the Confederate States. It is now twenty years later; since the Civil War the Southern States have prospered, entering into an alliance with the two great imperial powers of France and Great Britain, while the United States has remained isolationist. Both powers have expanded into the western part of North America, often drawing them into confrontation with the Native Americans that live on these lands. The South, having a more enlightened policy towards them, enjoys a more beneficial relationship. In addition, the Confederacy acquired the island of Cuba from Spain and incorporated it as a state. Such moves were met with muffled protests from Washington, but the Confederacy continued to aggressively expand, secure in the knowledge that the rhetoric spewing forth from the North were simply just words. The United States has just inaugurated its first Republican president since Lincoln - James G. Blaine. Unhappy with what they have seen as the weakness of successive Democrat administrations in dealing with the Confederate States, the voters turn towards the more aggressive policies of the Republican party. 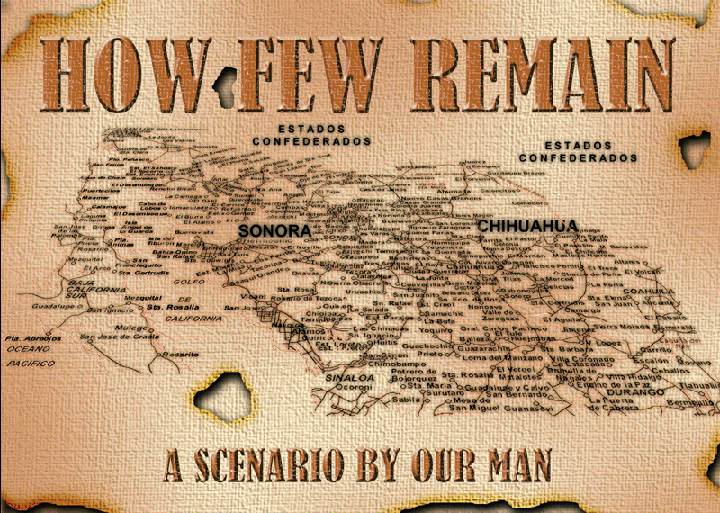 He arrives at a time when the Confederate States seeks to undertake its greatest expansion yet: the annexation of Sonora and Chihuahua from a debt-ridden Empire of Mexico. The Confederate States seek to purchase these lands as it would give them access to the Pacific Ocean via the Gulf Of California. Like the United States, they too would stretch from sea to shining sea. Blaine lets it be known that he will not tolerate the Confederate States moving into the Mexican provinces, and he is prepared to go to war over it. James B. Longstreet of the Confederate States, secure in his countries strength is not so easily dissuaded however, and Confederate soldiers start crossing into Mexico. When Blaine discovers this he announces that a state of war now exists between the United States and the Confederate States. The 2nd American Civil War has begun.